No matter if you’re new to birding or are an avid birder looking to check rare species off your life list, Patagonia is your place. It’s not just because birds outnumber people in Patagonia that the former mining supply town and its surrounding area earned inclusion in Fifty Places to Go Birding Before You Die: Birding Experts Share the World’s Greatest Destinations. Patagonia – which lies 60 miles south of Tucson – garnered its ranking as a world-class birding destination and the heart of Arizona birding for a number of reasons: from the variety of bird species seen here (including a number of rare species) to the accessibility of prime birdwatching sites to the area’s geological and ecological diversity and beauty. 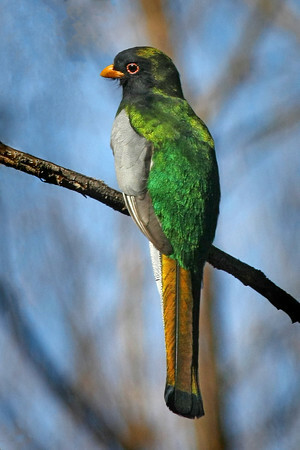 The best months for birding are March through September as migrant hummingbirds, warblers, vireos, flycatchers, orioles and tanagers pass through, joining strays from Mexico and resident hummers and breeders. Fall brings migrant songbirds, raptors and shorebirds. Ducks, sparrows, finches and longspurs love winter’s crisp days and crystalline blue skies. If you’d like a guide, you can’t go wrong with Matt Brown of The Patagonia Birding & Butterfly Co. at your side. Brown, an avid birdwatcher since the age of five, introduces serious and casual birders to all of the locales mentioned below on custom tours. For no extra cost he’ll also tell you as much as you want to know about the area’s cultural history, flora and non-airborne wildlife, as well as the “Sky Islands” – an incredibly biologically diverse collection of mountain ranges unique to the region. He’s even been known to go on about the wineries in nearby Sonoita and Elgin. 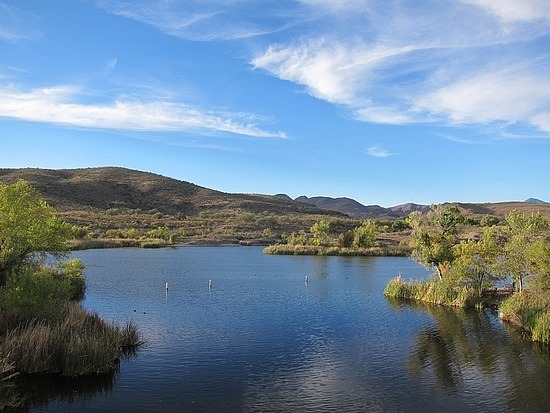 This was The Nature Conservancy’s first project in Arizona, and for good reason. 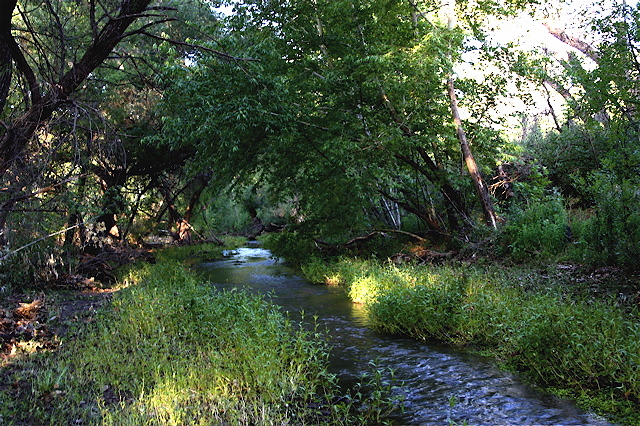 More than 300 bird species migrate, nest and live in this riparian habitat along Sonoita Creek. Possible sightings? Everything from gray hawks to vermillion flycatchers, thick-billed kingbirds and the wonderfully named black-bellied whistling duck. If you need a break from birds, head for the preserve’s cottonwood-willow forest. Once a common type of forest in Arizona, this is one of the state’s few remaining stands. The cottonwoods are among the country’s oldest (130 years) and tallest (100 feet). You can learn more about the birds and the trees on a guided nature walk held every Saturday at 9 a.m. throughout the year. The Paton Center for Hummingbirds is a place to explore and experience the special birds of southeast Arizona. 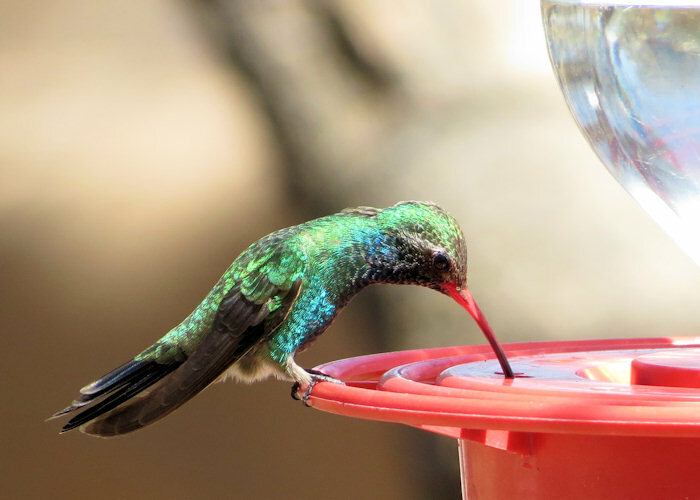 It is dedicated to the celebration and conservation of hummingbirds—and all of southeast Arizona’s astounding biodiversity—through recreation, education, and sustainable living. 212 bird species have been reported for this cozy home lot on the outskirts of Patagonia, including Violet-crowned Hummingbirds, Gray Hawks, Varied Buntings, Thick-billed Kingbirds, and many more local specialties. Together, these neighboring state-managed lands have been designated an Important Bird Area by the Audubon Society. During the spring migration, a few hours of walking here could yield sightings of 60 different species. If you don’t want to walk, the park offers pontoon boat birding tours. Pre- or post-birding, there’s a sandy beach and covered picnic area worthy of exploration. The unassuming Patagonia rest area – a few picnic tables tucked among ash, walnut and cottonwood trees about four miles south of town on the east side of Arizona Highway 82 – is fairly famous in the birding world. “Patagonia Rest Area Effect” is shorthand for the phenomenon that the sighting of one rare bird in an area almost always leads to the sighting of another rare bird and then another and another. 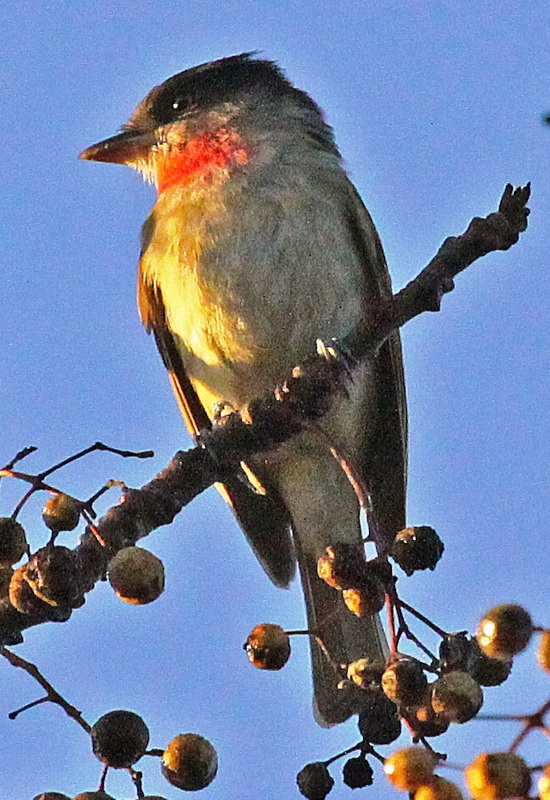 In the 1960s, rose-throated becards, rarely seen north of Mexico, were spotted nesting here. This sighting drew birders from across the country. In short order, the first U.S. colony of five-striped sparrows was spotted. And then thick-billed kingbirds, black-capped gnatcatchers and fan-tailed warblers, all of which are a pretty big deal and still put in appearances here. 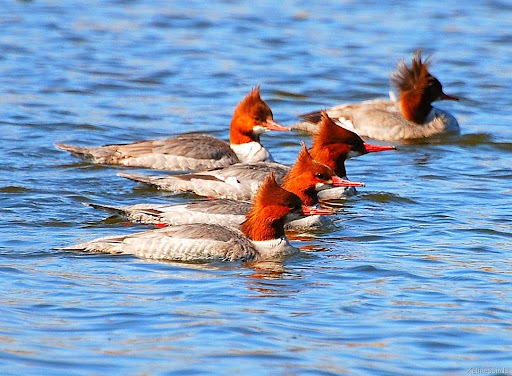 The inclusion of a wastewater plant on a list of birdwatching hotspots might surprise non-birders. Birders, however, know birds love these areas because of their nutrient-rich water. More than 200 species have been counted at Patagonia’s wastewater treatment plant on the edge of town.